This will not surprise those of you who know how strongly I feel about getting the grilled cheese recipe right. 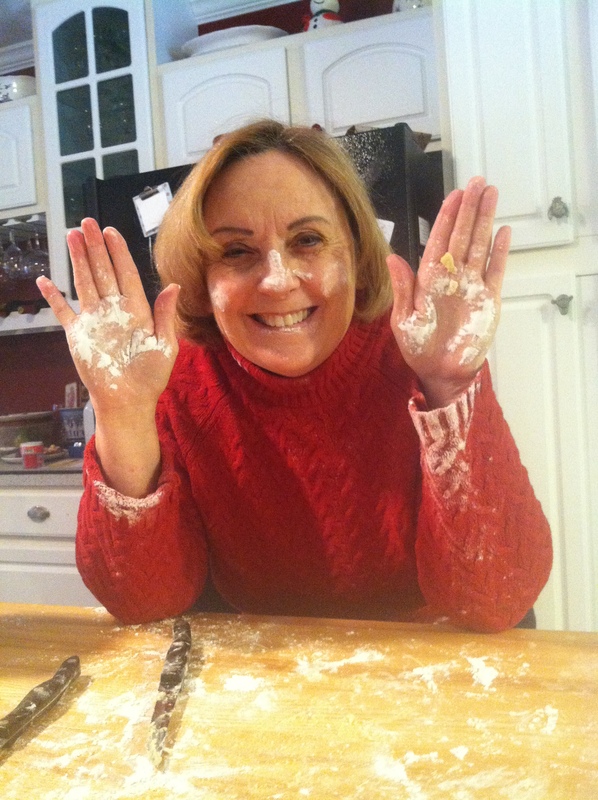 It is my own original recipe; the one I used to earn my first girl scout badge for cooking. Feel free to copy it or pin it to your Pinterest Board. 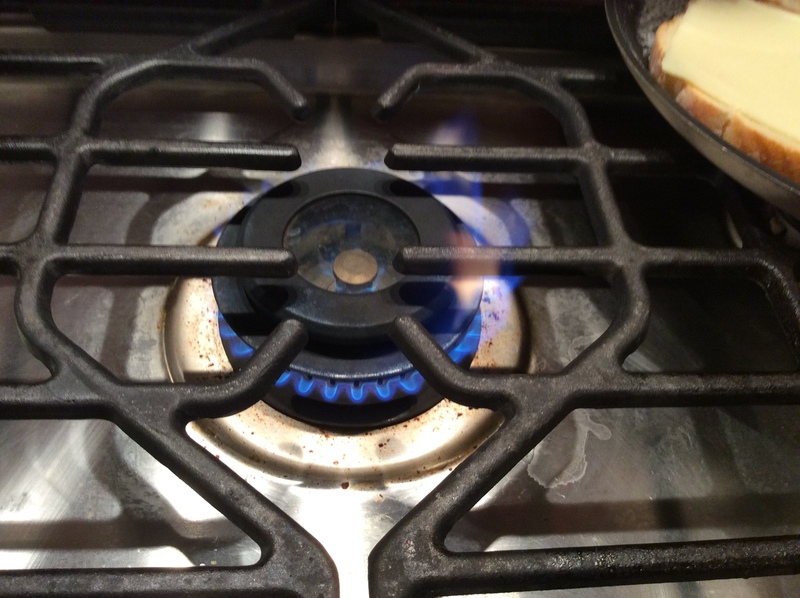 Turn on one of the burners (Note: Electric stoves will not have a blue flame like the one pictured here) Position your frying pan on top of the burner. 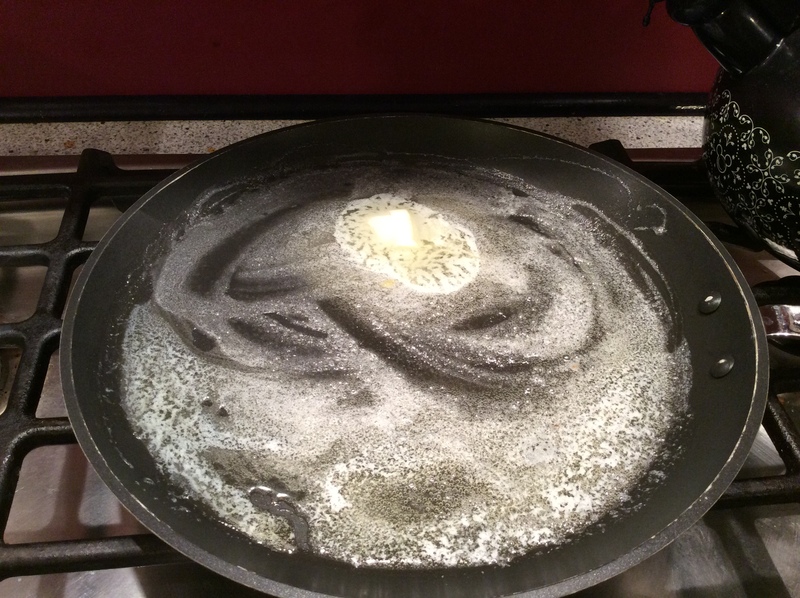 Add 1/2 stick of real yellow butter into the pan. This will eventually melt and when the butter is almost to the sizzling point (listen for a sizzling sound), you can add in your sandwich. 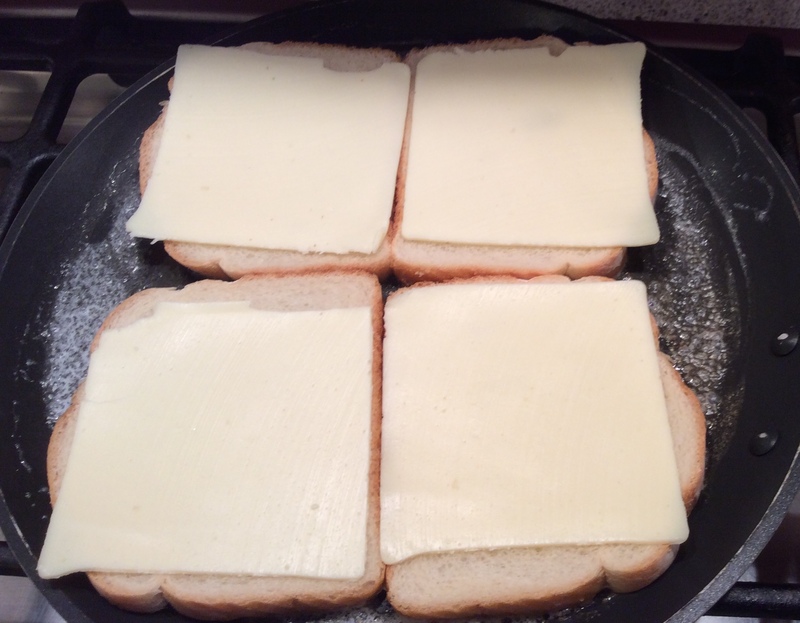 Cover each piece of bread (crust on) with a slice of pale yellow, real cheese. Try to make sure the cheese does not droop over the sides of the crust as this will result in some of your cheese turning brown in the frying pan due to over melting to the point of actual burning. 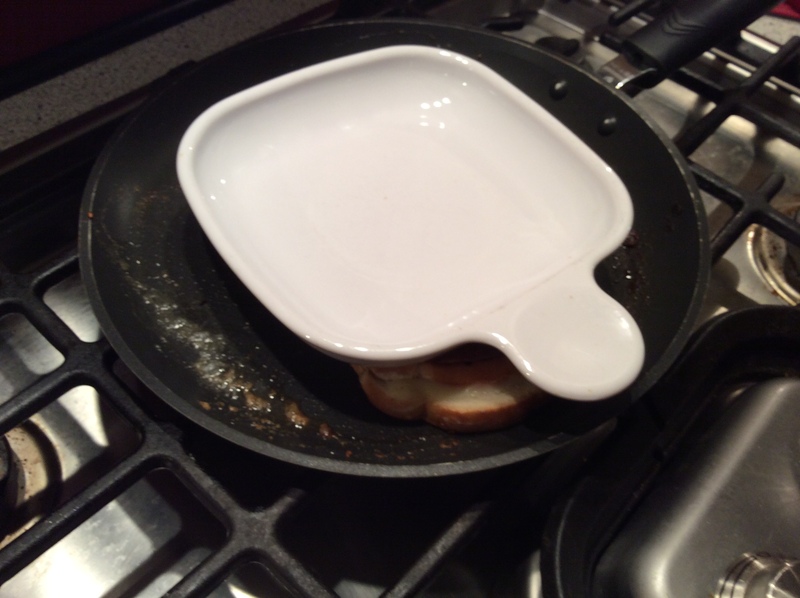 With a spatula, carefully lift one of the sandwich parts and place it on top of the other. 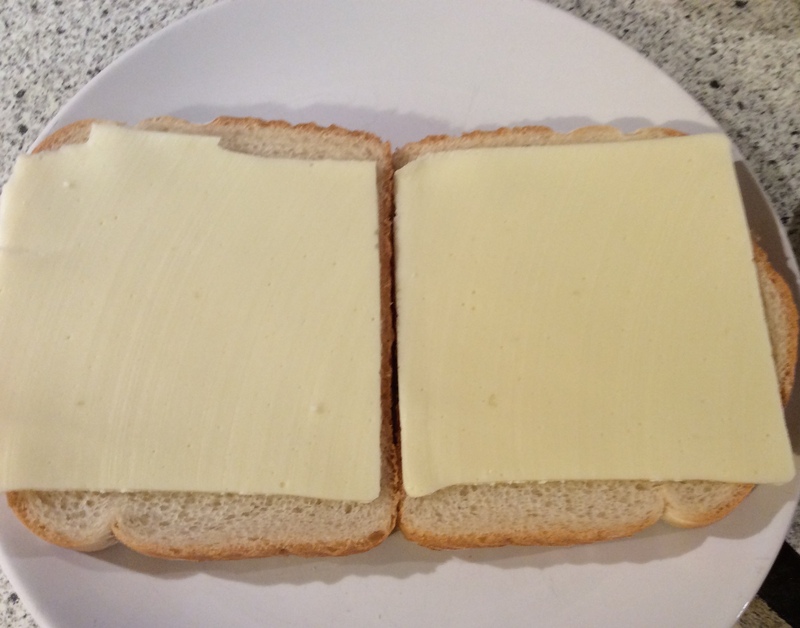 Make sure the cheese is facing down and melds with the cheese on the other piece of bread. Also, be careful that the two rounded edges and the two squared edges are matched up. Put something heavy (Warning: Do not use your good steam iron. Just sayin’) on top of the sandwich and press down, allowing some of the cheese to ooze out. This will result in a nice, flat, finished product easy for cutting and serving. Remove from pan and serve on plain white plate. I usually cut my sandwich into four square portions (see photo) but my husband Charley is more obsessive traditional and likes his sliced on the diagonal. (see photo) You can further cut the diagonals to form four smaller triangles. (Cut to suit) Deeeelish! Note: Marzipan, Marmite, Vegemite and any other foreign substances condiments beginning with “mar” or ending in “ite” may be substituted in the British Isles. I suggest pairing with seasonal drinks such as apple cider in the fall, lemonade in the summer and hot chocolate during the colder months. 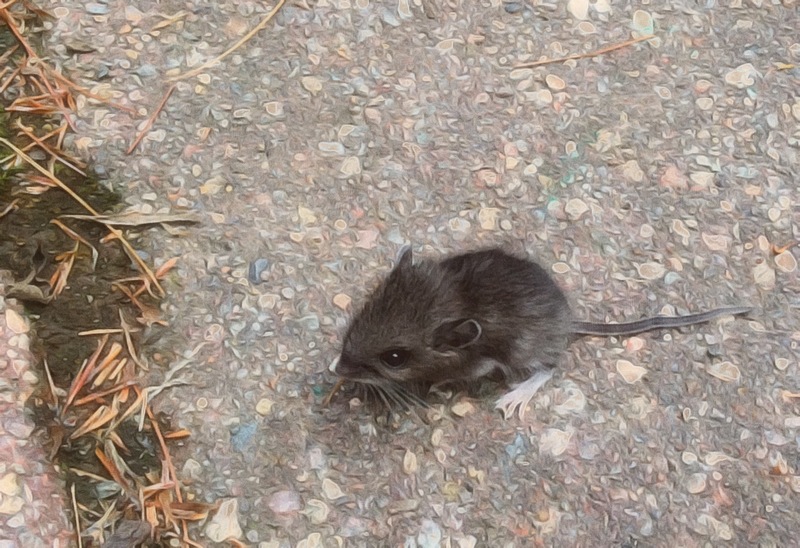 “What’s a mouse doing in a bird house, Gramma?” I asked. I had never heard her say that around me, but decided not to correct her, since she was spooning warm chocolate pudding into our bowls. Again, I had never heard those words come out of her mouth. Or anyone else’s for that matter. She began to sing a little tune that, obviously, she was making up on the spur of the moment. Across the table, my sister and brother were laughing and clapping and singing along. Fortunately, the cheese song abruptly ended when my grandmother, a true cheese aficionado, couldn’t find a word that rhymed with Stinking Bishop…. Author’s note: Please feel free to pair these lyrics with any tune you think appropriate. Suggestions are welcome. ha ha your so sweet!!! and gorgeous!! The kitchen is not my favorite room! WE leave an opened first aid kit on the counter! Thanks C.J. Glad you enjoyed. What a rousing post. A lovely meal, a poem and a cute mouse too. 😁I enjoy Lynn posts too. Good one. Thank you, Jacqueline, Not sure about “lovely”, but it has been described as “Tongue-in-Cheesy”. Thanx for all the tips- I need all the help I can get!! 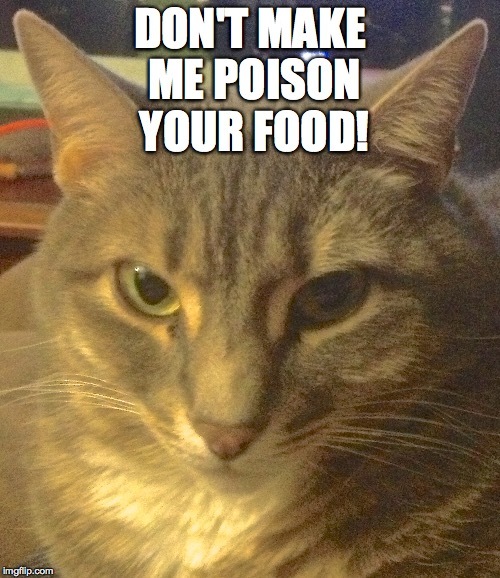 Roxie has a good idea. I like slightly sadistic humor! Lol!! I need to read that recipe! I might be doing it wrong!! Who has time to cut it??? Ah, very good point – And another option! I’ll have to do a revision….. I love the ditty Clare! Now a word about that big knife … keep it out of the way. That Roxie is one spunky girl! Oh dear! That beats my efforts by a 130 steps. Ah, but do you roast the peanuts and toast the bread ? Never underestimate the power of a woman who gardens! 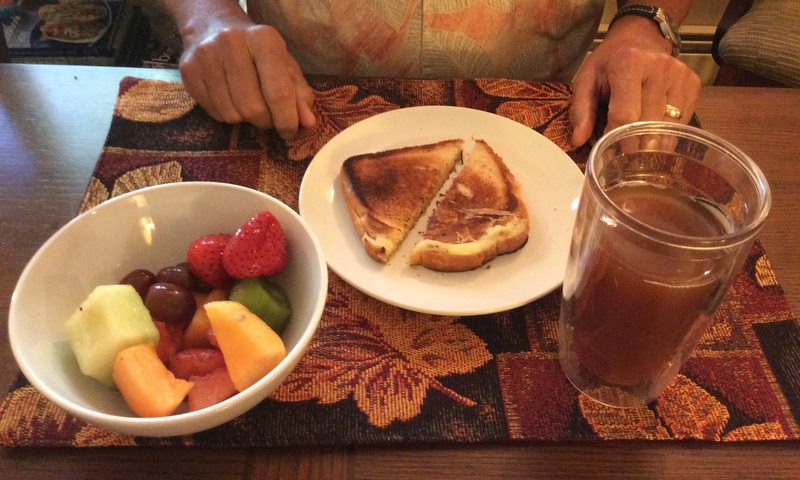 I just loved the recipe, “Devaneios de Real Grilled Cheese”. You just gave the first step in the kitchen. With practice, you’ll be, one day, an extraordinary cook or baker! Thank you for talking about my blog and Backyard Tours 🙂 you’re, truly, from my heart, a especial person! Great post and very amusing. I can relate to kitchen woes. Lynn has the kitchen mastered. Now, I feel the urge to have a grilled cheese sandwich. I’ll be right there – at least mentally. Virtual Table is set. Have a seat and I’ll pour you some freshly pressed cider. Thank you and I enjoyed it. You are a very gracious hostess. Well, it’s lunch time and I marching into the kitchen, shoulders back, head up, spatula in hand, confidence ouzing out like melted cheese…and gonna try your grilled cheese sandwich…thanks for the first aid advice. I know what you mean. I’d never have started smoking at age two if I knew then what I know now. This truly is a great ode to the cheese sandwich. Love the pictures. Nom nom.